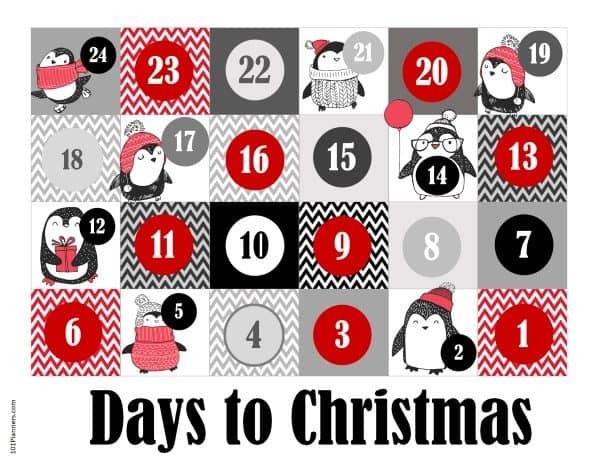 Free Christmas countdown printable and Advent calendar. Print as is or add a title before you print. To add text just click on the “A” icon and then print. How to create an Advent calendar? You can use these printable Christmas countdowns to create an Advent calendar to count the days of Advent in anticipation of Christmas. If you want to make flaps print the countdown on cardstock paper. Cut out flaps with a craft knife. Adhere the page to a blank page of cardstock. Open the flaps and write notes for each day. 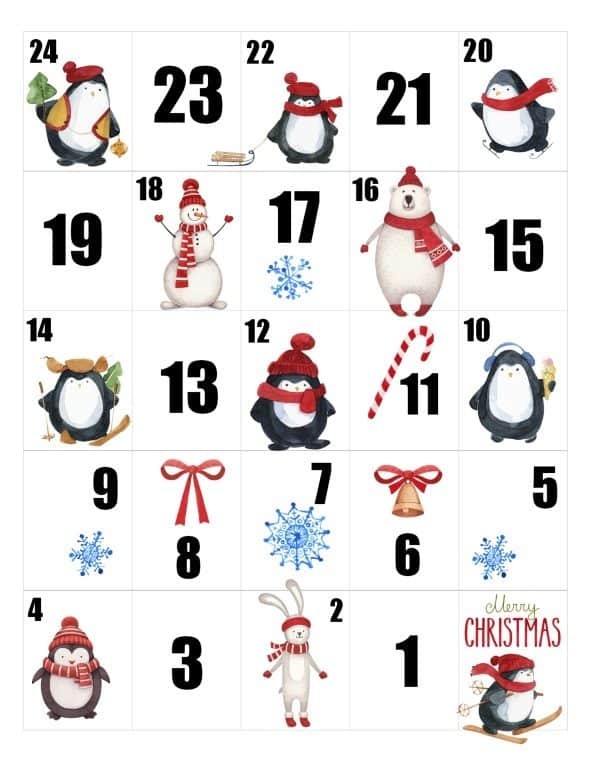 How to make a personalized printable Christmas calendar for kids? 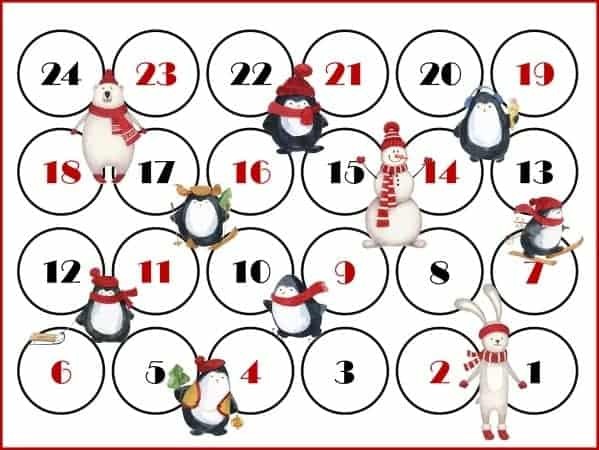 This printable kids Christmas calendar can be personalized with your own text. This can enable you to make your own customize countdown. Sit together with your child and ask them what they want to write each day. To add text, click on the “A” icon. Drag the text to the day on which you would like it to appear. Keep adding text until your child is happy with her creation. Download to your PC and then print.